Toma Waszarow’s film Red Light won the Audience Award at the Palm Springs International Short Film Festival, held from June 20th to 26th. 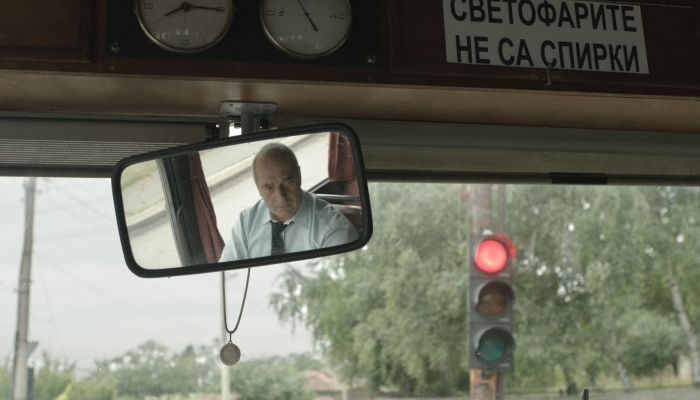 That same day the film won another award, also from the audience, at the Romanian Next Festival in Bucharest. The film is a Croatian minority co-production. The Palm Springs International ShortFest is part of the feature film festival held each year in January in Palm Springs. ShortFest is a qualifying festival for the Oscar and BAFTA Awards. This year the festival had over 4 200 applicants. Red Light won the Audience Award in a competition that screened 325 films. Furthermore, the film’s producers recently signed a contract with Belgium’s Radiator Sales who will be representing the film as its sales agent. After winning Best Bulgarian Short Film at the 20th Sofia International Film Festival this year in March, the film has gone on to win another 15 awards to date at a total of 35 festivals in countries including Croatia, Italy, Belgium, France, UK, USA, Morocco, Spain and Germany. The film is directed by Toma Waszarow who also co-wrote the script with Viktor Dessov. The producers are Waszarow and Anna Stoeva. The Croatian co-producer is Ecletica d.o.o. from Zagreb. Croatian film professionals working on the film include: sound engineer Hrvoje Radnić, boom operator Darko Ćosić, editor Vladimir Gojun, colorist Tomislav Stojanović, while the Croatian co-producer is Ivan Kelava. Four other Croatian films were screened at the festival: the animated co-production Hedgehog’s Home by Eva Cvijanović (Croatian co-producer Bonobostudio) and Manivald by Chintis Lundgren (Croatian co-producer Jadranska Animation), as well as the feature co-production Good Luck, Orlo! by Sara Kern (Croatian co-producer Kinorama). The programme also included Kristina Kumrić’s short feature film Half a Man. This year the Palm Springs International ShortFest screened more than 300 films and awarded prizes in 21 categories. For a full list of winners please click here.